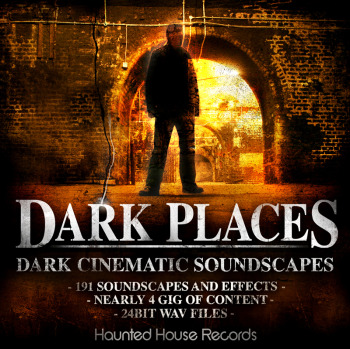 I am pleased to announce the release of my latest sound library called Dark Places. This library features 191 drones, soundscapeas, atmospheric effects and impacts designed to add tension to your music productions, or film/TV projects. I am running an introductory offer on this library where you can purchase it for £19.99gbp instead of the full price of £24.99. You can listen to the demo and get some demo samples at the above link. I found an interesting interview with Richard Devine today. Being a sound designer my self I really appreciate the kind of sonic decimation that Richard produces. The interview gives a good insight into his working practices and talks also about algorithmic composition. Here is a cool tips video for ableton live I found on you tube. I knew a lot of these already, but I still found some interesting techniques in here. I am getting ready for the release of a new sound library called Dark Places. This album contains nearly 4 gig of Dark Ambient/Cinematic soundscapes. Great for adding tension to your tracks or perfect for film/tv work. Here is a sneak peek demo song. I have just launched a great special offer for my Toxic Beats sound library. 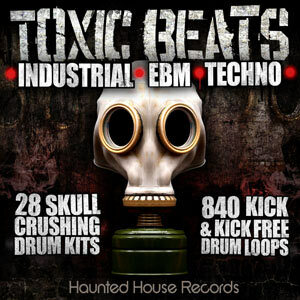 From now until Monday 18th July you can buy Toxic Beats for only £4.99 saving £10.00 of the full price. For the last few months I have been moving the Haunted House Records website over to a new server and completely redeveloping the site to use a custom content management system. As part of this move we effectively took the Sounds Of Mummy website off-line. I have now put this product back on-line so the digital version can be purchased. For a while I have been searching for the ultimate DAW controller. Initially I looked at some of the larger control surfaces from companies like Mackie, but I really didn't want a huge box on my desk. I work mainly in the box these days so I am keen to get away from large bulky mixing units. For ages I just worked with the mouse and never really considered the single fader control surfaces until I read a post on the Reaper forums where someone was raving about them. This review initially appeared on my old blog back in 2009. Since developing new blogging software for this site I decided to move the review over to this blog as this is still a very popular budget field recorder. The other day I had a new portable field recorder turn up, the Tascam DR-07. This recorder has only just been released and is actually their entry level model sitting below the Tascam DR-01. I initially liked the idea of this recorder because it is nice and small so I can carry it with me everywhere. I came across this cool video today showing the set design and technical preparation for Amon Tobins new Tour.